The Karen National Union lauded female participation in a recent, local political training after the course attained a 30 percent quota. 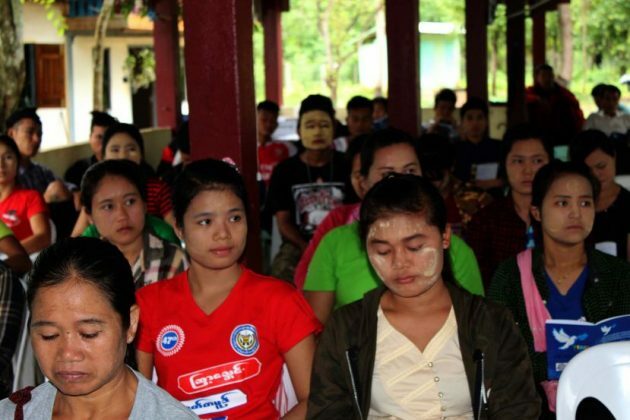 The second basic politics training, a five-day event last week, involved residents from villages in KNU-controlled Kawkareik township. Among the 100 trainees, 30 were women. “I’m very glad to see many women at the training. I hope women will be able to play a bigger role in the political processes in the future,” said Naw Eh Lay Dar, secretary of Kawkareik township’s Karen Youth Organization. Members of the KNU’s central committee also welcomed the increased participation of women on display at the July 3-7 training. The event was attended by leaders of the KNU village groups, village leaders, members of the Karen Women’s Organization and representatives from the Karen Youth Organization. The training involved lessons on Karen State’s history, the constitution and the current political situation. The KNU held a similar training in Kawkareik township last month to help build awareness and knowledge for its local officials from different departments.